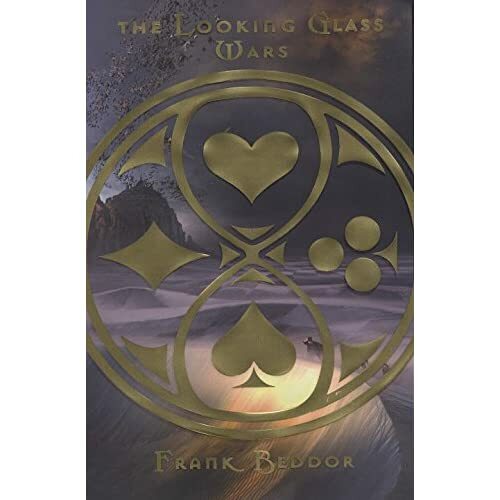 Frank Beddor's The Looking Glass Wars - BUY THIS BOOK! Now discover the truth... Wonderland Exists! Alyss Heart, heir to the Wonderland throne, was forced to flee through the Pool of Tears after a bloody palace coup staged by the murderous Redd. Lost and alone in Victorian London, Alyss is befriended by an aspiring author to whom she tells the violent, heartbreaking story of her young life only to see it published as the nonsensical Alice's Adventures in Wonderland. Alyss had trusted Lewis Carroll to tell the truth so that someone, somewhere would find her and bring her home. But Carroll had gotten it all wrong. He even misspelled her name! If not for royal bodyguard Hatter Madigan's nonstop search to locate the lost princess, Alyss may have become just another society woman sipping tea in a too-tight corset instead of returning to Wonderland to fight Redd for her rightful place as the Queen of Hearts. Meet the heroic, passionate, monstrous, vengeful denizens of this parallel world as they battle each other with AD-52's and orb generators, navigate the Crystal Continuum, bet on jabberwock fights and travel across the Chessboard Desert. THEN SEND IN YOUR NAME AND ADDRESS TO contests@efilmcritic.com. Put "LOOK THROUGH IT AND FIRE!!!" in the subject line and cross your fingers. We will draw names and one of the books and soundtracks could be yours. Only 1 entry per household.